Online learning is a $2-billion industry that runs the gamut from minicourses to law school, business school and PhD programs. That figure is expected to rise by 35 percent a year and reach $9 billion by 2005, according to The New York Times Magazine. But these numbers hardly tell the whole story. With its power to inform and connect people, the Internet is a revolutionary educational tool. Through its new requirement that undergraduate students take at least one online course for each 32 credits of study, Fairleigh Dickinson University is a pioneer in the field of online (or distance) learning, a vital part of the Universitys global mission. Starting this fall, FDU has become the first traditional university to require every undergraduate student to learn online. This years freshman class is being welcomed into the University and the digital age with the online University Core class The Global Challenge. FDU Magazine sat in on the course, which is designed to introduce students not only to distance-learning technology and resources but also to the issues that they, as global citizens, will confront throughout their careers and lives. As I logged onto my first Web class, an online community offering resources valuable to an education at Fairleigh Dickinson University greeted me. As I logged onto my first Web class, an online community offering resources valuable to an education at Fairleigh Dickinson University greeted me. Not only was I linked into the first required online course for entering students, I was presented with tools to enhance the entire collegiate experience: a calendar, notices and announcements, a weekly assignment reminder, a personal Web page and links to various library resources. I could check my grades, send e-mail or join an online organization related to my studies. There even was a directory of University offices and services. Although not a freshman student, I could see a brave new world at my fingertips. The University views Internet technology as a fundamental tool for research and information organization  prime workplace skills that are to be gained at the University. For students in The Global Challenge, the Web is the classroom. Assignments and all the reading material are found online; there are no books to buy. Our initial meeting introduced the Blackboard system, the distance-learning technology that is being used to teach this and future FDU online courses. The class also discussed ways to conduct research on the Web, how to tell if an online source is credible, and what to expect in terms of distance-learning offerings over the next four years. Your computer is the learning tool, said Christopher Devine, professor of chemistry on the Teaneck-Hackensack Campus, who, as a member of the classs development team, taught its initial pilot sessions. Accordingly, students were asked to create and maintain their own webliographies of online resources. He urged students to resist the temptation to download everything and print it out to read on paper. This class has no textbook, no notebook and no assignments on paper, he reminded the class. Devine discussed the communications methods available through Blackboard  such as the digital drop box, discussion boards, virtual classroom, the e-mail roster and group pages  as well as the systems support resources including an online student manual, an e-mail help desk and 24/7, toll-free telephone assistance. The system is handled very well and is very user accessible, comments Nick Buteas, a freshman from Fanwood, N.J., who plans to major in management information systems at Florham-Madison. 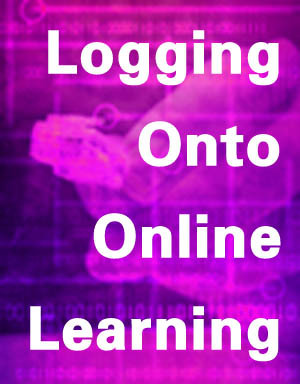 This technology, Sperling says, is the basis for building skills that we see as vital to our students: to learn effectively with the Internet, to know how to pace ourselves appropriately and to engage in threaded discussions and collaborative forums. The discussion boards and virtual classrooms enable these conversations to flow seamlessly, with each component branching out to new realms of discovery. Of course, not all freshmen became quickly engaged, and Sperling says in some cases faculty have had to reach out and work closely with students to help the transition to the online environment. But with more familiarity has come a greater comfort level, he reports. While full-time, on-site faculty are the primary instructors of The Global Challenge, they partner with scholars and experts from throughout the world to bring diverse perspectives to their students. This semester, FDUs on-site faculty were joined by 13 global virtual faculty members including Kumar Ketkar, an editor/reporter for The Times of India, whose specialty is political science; Norval Edwards, lecturer at the department of literatures in English at the University of West Indies in Jamaica; Jacob Lomranz, an Israeli psychologist teaching at the University of Tel Aviv; Cheng Ming Yu, head of the economics unit of the faculty of management at the Multimedia University in Malaysia; Anna Varkonyi, a Hungarian environmentalist; and Tomas Chuaqui, a political scientist in Chile. 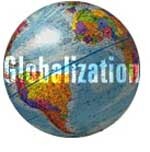 As the course progressed we were urged to further our global contacts. We were encouraged to join several list-serves on topics of interest to us and to keep up to date with current events through The New York Times online or CNN.com. For me, this assignment has become a daily practice. I wasnt a regular reader of the Times, but I now have come to rely heavily on its Web site for my news. deficiency syndrome (AIDS), sudden infant death syndrome (SIDS), cancer, malaria, West Nile encephalitis, Lyme disease and genetically altered foods; drugs; human cloning; and environmental issues including global warming, deforestation, water pollution, air pollution, ozone depletion and waste management. These topics were addressed using various material found on the Web. For example, says Sperling, students can link to the city of Hiroshima site to better understand nuclear destruction. Each weeks reading is accompanied by a 10-question, multiple-choice self-test for comprehension, allowing class members to determine if they had grasped the major points intended from the material. Grading is based largely on weekly written assignments, a system that helps derail cheating attempts. Essays range from a 200-word summary of an issue posted to a discussion board to a 1,000 to 2,000-word composition on the ethical, scientific, economic, political and population aspects of a global health problem submitted at the end of the semester through the digital drop box. I liked the fact that you could send your work in very easily and quickly, remarks Meredith Thomson, a freshman accounting major from Manasquan, N.J., who attends the Florham-Madison Campus. In addition, we were instructed to comment on our classmates postings to the discussion boards, a process that serves to reinforce certain lessons and challenge other assumptions. Twenty-five percent of the final grade is based on participation in these discussions, so students are driven to offer commentary and critiques. Nick Buteas especially likes this form of interaction. It allows those students who usually arent vocal in the classroom to interact with the rest of the class by means with which they feel comfortable, he says. This fall, discussion boards understandably focused on the terrorist attacks on the World Trade Center and the Pentagon. Students were able to express their anger and sorrow as well as discuss possible reasons for the attack and how the United States should combat terrorism throughout the globe. One aspect of The Global Challenge that makes it particularly suited to the online environment is its interdisciplinary nature and its role as part of the University Core curriculum required of all degree students. From challenges that are global to perspectives that are unique, the Core represents the foundation of a Fairleigh Dickinson University education and has been heralded as a national model. In keeping with Cores interdisciplinary nature, The Global Challenge examines moral and ethical issues through several perspectives, including the scientific. Most of the global issues discussed are, in fact, the consequence of sciences introduction of new technologies, starting with the industrial revolution. Most of the issues covered require some basis in science to fully understand; however, professors from many disciplines  ranging from philosophy to electrical engineering and from accounting to nursing  teach the course. I must compliment ... the team of teachers, administrators and anyone who helped develop this online course, including Dr. Devine, commends Pritting, who attended one of the pilot sessions and plans to major in electronic filmmaking and digital video design. 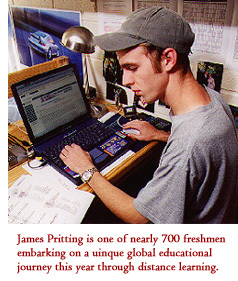 He was not afraid to use the Internet and was well skilled. The team of developers comprised Devine; Walter Cummins, professor of English, Florham-Madison; Linda Elfers-Mabli, senior lecturer of English, Teaneck-Hackensack; Jennifer Lehr, assistant professor of English and communications, Florham-Madison; and Jason Scorza, assistant professor of philosophy and political science, Teaneck-Hackensack. But this course is just the beginning. The Universitys information resources and technology staff is working with a $1.4-million budget this year to upgrade its network to handle the needs of the Universitys distance-learning initiative, including hardware upgrades, increased security, caching systems and an increase in the number of network connections in the residence halls. This is being funded through a grant from the New Jersey Higher Education Equipment Leasing Fund program, which supports the purchase of scientific, technical, communications and instructional equipment at New Jerseys public and private colleges and universities. FDU also received a $3.9-million grant-in-aid from the state, most of which will be dedicated to the distance-learning program. Over the next three to four years, a total of $5 million will be provided for network upgrades and the development of an additional 90 to 100 online courses that will meet the rigorous accreditation standards to which the Universitys traditional courses are held. Currently, each of the Universitys colleges is developing one to three online courses that will be required of the college beginning next fall. Subsequently, more major-specific online courses will be offered as this years freshmen get further into their studies. With the new standard of education being set here, todays freshmen are poised to become skilled and lifelong global learners. The adventure has just begun. This academic year, approximately 325 students took The Global Challenge in the fall, and about 350 are expected to take it in the spring. My course assignment is complete; I can now log off, but not without a touch of envy for my classmates, who are on to bigger and better things as they advance through their college years and more online offerings. The University is certainly on the right track. With the new standard of education being set here, todays freshmen are poised to become skilled and lifelong global learners.